Gas Works Park in Seatle, Washington was created on the land of a gasification plant that powered the city's homes for many years before becoming obsolete. Rather than tearing down all the old machinery, the city left some of it up, in so doing creating a truly unique setting for portraits of all types. 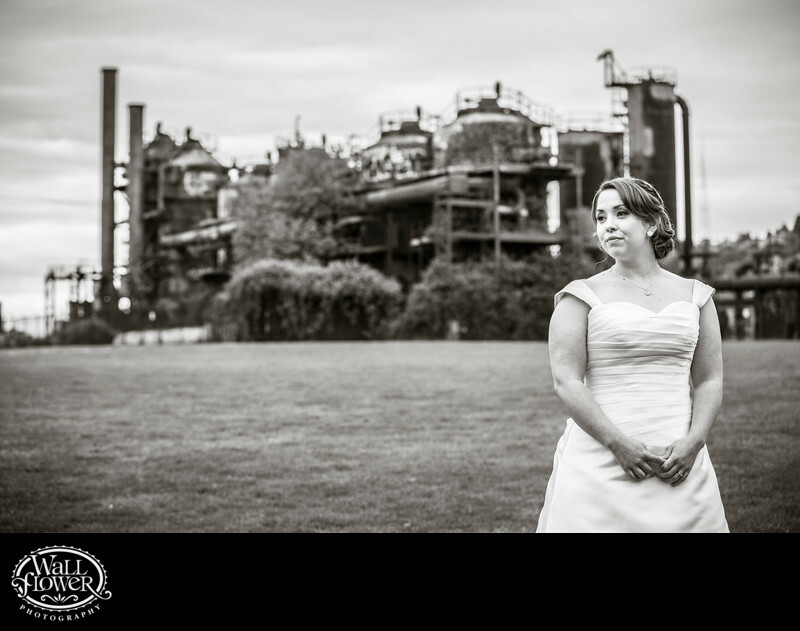 I met up with this bride, along with her bridesmaids and immediate family members, at Gas Works as they headed to the MV Skansonia nearby, where her wedding would be taking place later.